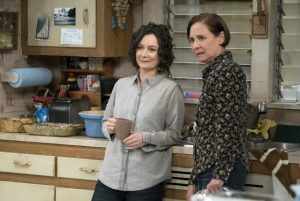 ABC has released photos from the set of the upcoming Roseanne spinoff, The Connors. Roseanne was cancelled earlier this year after it’s star and creator, Roseanne Barr, was fired for a display of racism on Twitter. 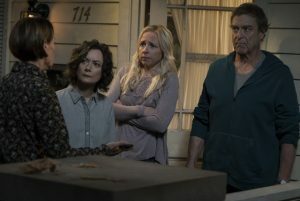 Roseanne Barr was required to sign away her rights to the show, allowing the rest of the cast to carry on without her. 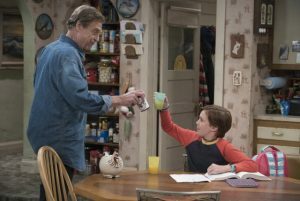 When asked how the show will continue, John Goodman confirmed that the character of Roseanne was being killed off the show. 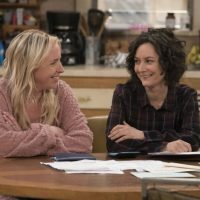 Goodman also reached out to Roseanne to thank her for allowing the rest of the cast to carry on with the show, but he didn’t get a response from his longtime friend. 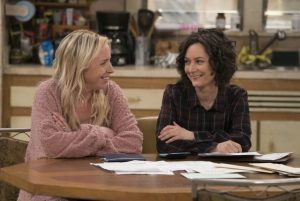 The new show will premiere on ABC on October 16.